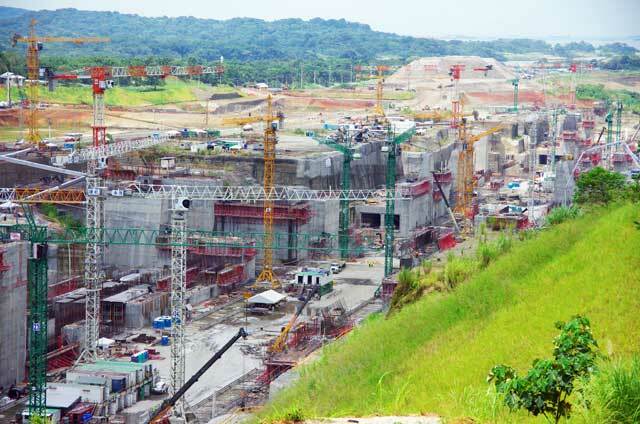 The Panama Canal expansion project has been at a standstill for nearly two months. The consortia building the locks is demanding another $1.6 billion of taxpayer money to finish the project which has been under investigation since 2011 by the development banks financing it with public funds. Data and expansion solutions from independent investigations led by Bert G. Shelton -- a Research Scientist and structural engineer specialized in the responsible use of resources & the functioning of the Panama Canal-- formed the basis for the compliance reviews requested by the stakeholder coalition, Alianza ProPanamá, on behalf of Panamanians and other global taxpayers. Read what mainstream news is not telling us. The risks design problems create for the Panama Canal cannot be removed or fixed later. This is NOT just a Panama issue. It transcends borders. Ask Congress or your favorite politician for answers. An independent and unbiased evaluation is long overdue. Do not allow your good money to be thrown after bad. Gatún Lake Defense Committee/Comité ProDefensa del Lago Gatún Please forward, post, or otherwise distribute. Reports from the tri-partite study – performed when the Panama Canal Commission was in charge of the waterway's operations – demonstrate that persons involved (from the US, Japan, and Panama) truly wanted a balanced future development of the Panama Canal. Besides estimating the water available to the Canal – defining what portions of the waters within its reach could reasonably be diverted for canal use – reports from the study noted that both environmental and geotechnical (earthquake) concerns needed to be addressed prior to any expansion. However, pieces of the puzzle that have come to light over time – regarding Panama's canal expansion now underway, and in trouble – reveal the true nature of the current plan for the waterway. To fully appreciate how the pieces fit together, we need be reminded of a side of human nature many find hard to understand, as it is an aberration not present in most. Yet as unacceptable as their behavior is, there are megalomaniacs on this earth. They want what they want – and are determined to get what they want – irrespective of the cost and negative impacts to everyone and everything else. Such people have caused past empires to rise and to subsequently collapse, because none were sustainable under their form of rule. Oppressing the masses and feeding upon them through lies, only leads to discontentment and a downfall with untold loss and damage. That's what's going on now in Panama and with its Canal. Apparently there are those bound-and-determined to have a sea-level canal through Panama, and the show – witnessed prior to Panama's referendum – was all about circumventing a clause in the US treaty requiring the people of Panama to approve any expansion of the Canal. That requirement was intended to prevent exactly what is occurring now. While a plan – concocted to sound good to the layman – was used to convince the people to vote to approve an expansion, the question on the ballot was simply “Do you want the canal expanded or not?” What constituted an upgrade acceptable to the people was not specified. That sort of “carte blanche” is what the sly businessmen behind the affair were after. The original reason behind building the Panama Canal was to avoid the many-week-long journey around the tip of South America to get from one ocean to the other, which the less-than-a-day-long crossing at Panama provided. But, that shorter time it seems is not short enough for some of today's megalomaniacs. Their apparent preference would be to remove a wide enough chunk of the Isthmus so that the flow of tide-waters through the gap could be navigated. However, as that is beyond absurd, using tide-control locks at the Canal's Pacific end may be grudgingly accepted, but with enough lanes so that their ships wait “no more than 5 minutes” to be transited. That is the kind of mindset that came out of discussions held by “planners” in a “training session” with experienced Panama Canal Pilots. It was inadvertently revealed to the Canal Pilots attending that a much grander plan was afoot than that presented to the general public for their approval vote. What is being built now, they were told in effect, is a “throw-away” precursor to what is hidden behind it; a “grander plan” others have also become aware of separately, but certainly not officially. As pieces of the puzzle fall into place, particularly with the project at a standstill for over a month, a group of megalomaniacs does appear to be behind what is afoot at the Panama Canal. It would be no surprise if some involved in this fiasco also play a part in the Trans-Pacific Partnership machinations. Self-anointed “masters of the planet”, seemingly manipulating the expansion from behind the scenes, do not care what it costs to do their bidding. After all, they will lose no sweat off their brows. The cost will be carried by sweat off the brows of the masses worldwide, who have already provided the inappropriately disbursed development funds to pay for much of the present lock construction. Needless to say, the wants-and-desires of the locals at the project site – the country of Panama – are irrelevant. Even less so is the life or death of flora and fauna, near and far. The hidden architects of the grander scheme for the Canal – one masked by the “throw-away” effort underway – no doubt believe that ocean ecologies will “just have to adapt” to the habitat changes, perhaps rationalizing that such damage has already been shown to be “no big deal” at the Suez Canal. That no before-and-after studies were even considered when creating that waterway, with which to either confirm or refute their point-of-view, matters not to them. Seeing themselves as the “better people” deserving more than other people, there are no pangs of conscience associated with damages to third parties and the environment. Their refined skill at tricking others – together with the ease with which they lie, cheat, and steal – that allows them to rapidly improve their economic standing, is proof to themselves of that personal superiority. Being a highly-skilled con-artist is a much loftier “achievement”, in their view, than being skilled at producing tangible goods or providing useful services. Unfortunately, it is people with this kind of attitude that our democratic processes have fostered, rewarded and elevated to be leaders around the world. Acceptable or not, those in leadership roles at every level have skeletons in their closets that provide a means by which the even-less-scrupulous can manipulate them. Back to the Panama Canal Expansion puzzle, the case now appears to be that certain people were given the chance of a lifetime to become filthy rich, if they obtained the expansion go-ahead vote from the Panamanians. The subsequent lack of outside intervention at any of the potential checkpoints of this venture – such as independent reviews by development banks prior to granting it funding or even the control mechanisms and review boards that had been promised to the Panamanian voters – bolsters that perception. It would appear that the in-country promoters of the expansion plan were assured that the leadership of the international community – nations and multinationals, banks, academic and other prestigious institutions, the media, etc. – would not question the process by which that vote was obtained, nor question the proposed “plan” for the expansion project, nor subsequent activities. The proof of this is in how the picture continues to unfold. Only news praising the merits of the project were spread across the globe. Nowhere in the world were opposing views published by mainstream media, nor was anything questioned. The officially “recognized” local opposition argued for the construction of ports and not a canal expansion. That one had nothing to do with the other was ignored, and – as it turns out – both have been advancing in parallel, to the point that ship movements in-and-out of ports hamper Canal transits. And, with respect to ports, many have been or are being expanded around the world as a result of the Panamanians having approved the Canal's expansion. It is believed that the triggering of those expansions, which are each multi-billion dollar projects – mostly paid for by the public – was a major factor behind the rushed kick-off of the Canal's expansion. Because of such hidden agendas, debating the technical merits of the actual expansion plan was never allowed. Those who raised questions of substance in Panama – regarding technical and operational issues – were either ridiculed or ignored. What the campaign used as the centerpiece of what would be built, was pre-set prior to the public ever having been advised of anything. Furthermore, the choice of lock system was officially declared to be not just the “best” option, but the “only” one viable for the project. That claim was pure bunk. Yet, entities entrusted to question it – such as development banks financing the project with taxpayer funds – did not. It has never been substantiated by the project – touted around the world to be the most “transparent in history”. With respect to the expansion's approval vote, the project's promoters had the advantage that Panamanians are for the most part easy-going and not prone to getting involved if they do not perceive a personal threat or advantage. The overly-slick marketing did raise doubts among the people. However, unending positive official feedback orchestrated from abroad served to counteract it, as the same packaged message was parroted repetitively worldwide. Today, the policy of the “positive spin” with respect to the expansion project persists. Even in the midst of the current crisis, the bad news is being reined in fairly successfully. Despite the recent revelation that the financially unstable consortium building the locks has received over $700 million in “advances” from the ACP – with the exception of Panama and Spain where, nonetheless, relatively few facts are being divulged – the project is out of mainstream news. Even the public financing institutions which have the obligation, in advance of providing funding, to independently evaluate and ensure a project does not create avoidable and unnecessary social, environmental and financial risks – which are currently performing compliance reviews of the project at the request of Panamanian and other stakeholders – have not intervened. This despite major discrepancies regarding claims upon which their loans were based and the actual risks the project is creating to the Canal's own longevity and its future return-on-investment capability. Because the Canal expansion was, and still is, being used to entice foreigners into buying second homes in Panama – referred to as “residential tourism” – there was a sector of Panama's society very much in support of the expansion, particularly those already profiting from the associated “building boom”. From as early as the 1990's, the primary opposition to the Canal expansion came from the people in the earmarked hills – residents that are going to lose their homesteads and livelihoods whenever reservoirs are added to the Canal – together with persons concerned with ecological damage issues. To deflate the opposition of those “hillbillies”, a third water-saving tank was hastily added to the two-tank per lock-chamber layout initially proposed – which had been presented on the Discovery Channel to the world in early 2003 just after the project was announced – in order to claim more water-savings. Furthermore, an increase in the range over which the level of Gatun Lake is fluctuated was declared, which would increase the volume of water that is “accessible” for operating the locks. The negative effects of that level change on the original locks were ignored. The problem with those changes is that they sound good, but are in truth no fix at all. Furthermore, they are not free, yet an estimate of how much cost they would add was not given. The project's official price-tag remained unchanged. Nonetheless, with those “changes” the sympathy vote for the “plight of the hillbillies” was diminished. Plus, with the introduction of new voting machines – and fewer of them at fewer locations – access to voting stations was made more difficult for those in the hills in opposition, who had little reason to trust the promises of the politicians. In the end, only a bit over a third of the population eligible to vote made their way to the polls during the referendum. Thus, the hidden architects of the “throw away” canal expansion got their wish. The people of Panama – most of whom are oblivious to it – lost “big-time”, along with most of the free world which has even less of a clue about how badly it's been ripped-off. Back to the “buy-a-retirement-home-in-Panama” crowd, they are also oblivious to what they have bought into, because they were never told of the results of the Canal's seismic studies. One in particular, done by Earth Consultants International (ECI) of California – that determined the canal area at Panama City isnow due for a 7+ earthquake on the Richter Scale – should be of great interest. It is very doubtful that any building – new or old – in the area of Panama's capital city has been designed for such an event, except perhaps for the homes of a couple of those “better” people “in-the-know” who may have quietly built their own to withstand it. It may be too much to hope that any new official buildings are adequately designed, although leaders knew the risks by at least 2007. The troubling perception is that those who “govern” Panama don't give a damn about civil defense, nor doing anything else right for the country. For the areas that would be most affected by the awaited seismic event, rather than expeditiously implementing the necessary changes to building design codes to reduce the severity of the fall-out of the impending seismic event, it is rumored that “rubber-stamping” of substandard building projects became even more commonplace with the right “greasing of one or more palms”. So, beyond the Canal being put in greater jeopardy, everyone within the greater Panama City area is running a much higher-than-otherwise-reasonable risk of suddenly “meeting his or her Maker”, or of experiencing what the survivors of the Port-Au-Prince (Haiti) earthquake are still struggling to recover from today. If this is upsetting news, then it may be time for people to review their options and, if they are able, to move at least far enough from the expected quake's epicenter to escape the brunt of the event. A residence near “ground zero” most likely will not be habitable after the event, just like the original locks of the Canal most likely will not hold water after the hit. Unless preventive steps are taken now, it does not matter how good the concrete of the new locks turns out to be, the Canal will be out-of-commission when its original locks fail and Gatun Lake drains out through them. It will take 4 to 5 years to re-fill Gatun Lake after the breaches are sealed. Not only will the earthquake fail structures, water and power services will also be severed, and the Republic of Panama will no longer have Canal subsidies – from which the public now benefits – to count on to help rebuild. Yet, the unpaid expansion loans will still be there, which is truly unfair towards the Panamanian people who are the victims of these schemes. The banks must have known of this seismic risk beforehand considering that – once the seismic status became public – none have complained that the project's requests-for-funds didn't state that risk. If all of the above does not discourage a move to Panama City, then buyer beware. The city has plenty of new – but perceived to be poorly-built for the price – apartments from which to choose. Unlike older residences in the city that, in general, were built to suit the climate, one can expect rather high electric bills in the newer buildings mostly to cover the cost of keeping them cool enough to live in. The cost of electricity in Panama is quite steep. As for the people of Panama, the spin to shift blame now being fed to them through propaganda on the airways – in the midst of chatter over the Canal's lock-construction work stoppage – is that the winner of the lock design-and-build contract supposedly did not do the contractually-required geotechnical studies at the root of the present standstill. That is crazy, and pure nonsense. Nobody in their right mind would bid a fixed-price to design and build something without having first examined the site's geotechnical reports. Nor would they propose a different lock solution. That would require them to confirm that their alternative was acceptable with respect to all of the technical challenges to be overcome, plus that it complied with funding requirements – environmental and social among others – set forth by the development banks. To set the record straight, the Panama Canal Authority (ACP) – responsible for the Preliminary Engineering, in which issues are defined and options to meet those are developed – declared that the “best and only” possible lock alternative had been identified by way of “thorough” investigations. Millions were then spent on studies to demonstrate that the choice satisfactorily met the operational, technical and environmental challenges of the project, the outcomes of which the project's critics insist only serve to raise further questions. The fact is that the ACP has never published any of the work supposedly done prior to the 2002 project announcement that would substantiate the claimed thoroughness of their “pre-selection” effort. The lack of substantive discussion of the pre-selection process in the project's Master Plan, released in 2006, confirms – along with more recent inability to produce substantiation for these claims during the development banks' independent investigations – the perception that it wasn't done. At this juncture, finishing what is now underway will end up costing much more than it should in the long run, due to that single-lane design's relatively greater operating complexity and much poorer use of natural resources, together with the environmental damage of incalculable cost that it very likely will cause. For a cost equal to the single-lane lock solution that was either delegated to, or chosen arbitrarily by, the ACP, a two-lane lock system of greater water- and time-efficiency – that would provide for nearly twice the future transits promised with what's now being built – should be added to the Panama Canal. This is the only realistic option, although it sounds extreme. By using a lock arrangement that optimally combines all three of the water-saving techniques found in – and proven by – the 100-year-old original Panama Canal locks, not only could the seismic risk be reduced by not needing to build structures atop identified faults, but less water would be used and more ships would be transited. In addition, the danger to ecology could be eliminated by replicating the original lock system's Pacific side salt-intrusion barrier. Equally unacceptable is that the risk of losing Gatún Lake is unaddressed by today's plan when there are solutions. An emergency gate system must be developed and installed a short distance to the north of today's Pedro-Miguel locks to prevent the loss of Gatún Lake due to the coming quake. With Gatún Lake's water still available after the event, the new locks – having been built to withstand the earthquake and not built across fault lines as some of the current plan's structures are – could continue to operate and provide an income stream for the country's post-earthquake rebuilding effort. As the facts seem to indicate, the country's leadership is not preparing the nation for what is coming. It would not be a surprise if some are planning to be elsewhere, like at their “second homes” in Miami. Sifting through the pieces of this puzzle, the picture emerging – should no one stand up to its true architects – is of money being spent to complete a white elephant. Following which will be the chasing-out of people from their homesteads to water that beast. The only way to escape the environmental danger of contaminating Gatún Lake with excessive amounts of saltwater – if the project is not changed – is if the earthquake happens to hit Panama before, or soon after, the risk-laden locks begin operating. Short of that, and after the expected seismic event eventually occurs, the battle lines will need to be drawn to stop the megalomaniacs from moving in and digging the sea-level canal of their dreams. One can be sure that tab will also be left for all of us “less important” creatures on the planet to pick up. It would be saner – and cheaper – for us to stop them now, and put the Panama Canal Expansion on the right path. The Panama Canal Expansion: Legitimate or Wealth Transfer Vehicle? With the passage of time, information continues to surface that is making more apparent the reason for the rushed launch of the Panama Canal Expansion Project. Summarized below are conclusions, based on people's experiences and observations, as to its real goals. Separating facts from the hype surrounding the Project can permit addressing its growing list of problems. In December of 2002 word of the expansion project first reached most of Panamá's public by radio. The plan to add a new lane of larger locks for transiting Post-Panamax ships – ships too large to transit the Canal's original locks – was announced. These locks would use water-recycling tanks, placed beside each lock chamber of the system, which were to significantly reduce the amount of water required to transit ships relative to a similar system that does not have tanks, like the Canal's original lock system. Immediately individuals in Panamá with experience and expertise in the subject inquired as to who had developed the planned new system, and when and where that development work was done. Also asked was what alternative water-saving locks were assessed and how they compared. In response, the project's marketing effort intensified. Repetition of a key message to the public – that the most appropriate lock system had been selected, and it was the only one capable of meeting all the project's challenges – was increased. Furthermore, no answer was given to the question why the Canal Administration had elected to proceed directly to a full expansion project rather than follow the more rational and manageable approach of upgrading the waterway step-by-step, with the first step being to maximize the original system's transit capacity. Those knowledgeable individuals' recommendation – championed most vocally by the Panama Canal's retired Chief Engineer and Director of Engineering, Dredging and Construction Division, Tomás Drohan Ruiz – was to gradually improve the Canal system by widening and straightening its channels, plus adding lights to them. Since such enhancements would be needed for any future expansion, this course of action had long since been considered the most cost-effective and prudent. With his extensive first-hand knowledge of the Canal's operations gained through his more than 30 years of service, Chief Engineer Drohan used the years leading to the referendum – as did other professionals – to independently study and offer a lower-risk plan compatible to the site. With his analysis of the pitfalls of the current plan, he argued for a sustainable expansion with time to responsibly manage its costs, its risks, and not exacerbate its engineering challenges. The bidding process for the construction of larger new locks would have benefited from that better use of time. The many bidding delays caused by the confusing and incomplete requirements of the hurriedly-assembled project plan – that have carried deep into the present project's execution phase – would have been resolved by first enhancing the existing system. A much improved plan would be in place today had Canal planners been given the opportunity to consider better solutions for this expansion than the lock system now being constructed. As an added benefit, the Panama Canal would already be making more money – so better able to pay for the work – when it came time to add larger locks. Plus, to be ready for when transits of larger ships began, other civil engineering work – such as the building of new bridges and the removal of the old one – could have been done methodically and with appropriate planning. This, as opposed to what is expected to occur, which is another rush potentially riddled with mistakes and uncontrolled cost overruns. Concrete answers to questions about the approach being followed today have never been given. Were Any Other Plausible Lock Alternatives Actually Evaluated? To answer this question, there are several relevant facts and observations to be brought forth. During the prolonged dry-season (of 2001-2002) prior to the expansion project's announcement later that year, the Panama Canal began running short of water. To not turn away ships, the Panama Canal Authority (or ACP, as it is known) made the decision to offer transits at lighter draft, allowing the level of Gatún Lake to drop below its traditional lowest level. To reduce the draft of ships carrying containerized cargo, containers were taken off ships at one coast, transported by rail across the Isthmus, and reloaded onto the ships at the other coast after their transits. In response to that news, Engineering Professor Bert J. Shelton Vásquez contacted former students and colleagues of his then working at the Canal. He inquired why the reduced water-use operating method of the locks was not being used instead. He was surprised to learn they were unaware of it. Yet, among the claims – in the vigorous campaign to promote the plans for the expansion project – still being repeated today was that every stone had been turned to find the “best and only” system suitable for the Canal's new locks. This claim presents an interesting dilemma: if those proposing the expansion were unaware of the Canal's own water-saving capabilities, the evaluations were – by definition – incomplete. There is nothing to indicate that all the water-saving methods present in today's Canal were actually evaluated either before the 2002 announcement, or in the intervening time prior to the 2006 referendum. Once the expansion was announced and details behind it began to emerge, issues uncovered by independent assessments centered on the effectiveness of the lock configuration selected, with respect to water efficiency, salt-intrusion, and earthquake vulnerability. Questions on cost-effectiveness of the venture, its risks to clients, the environment, and to Panamá's economy were also topics debated in the interest of ensuring the best outcome of the project being planned. Professor Shelton knew, for example, that with an arrangement – built at each end of the Panama Canal – of two twin-lane one-step lock units with a relatively short section of channel between them, more ships could be handled per day using about 15% less water per transit than the locks now being built. Plus, with such an arrangement the Canal could be better defended against salt intrusion and the new structures would be no more vulnerable to earthquakes than those that already exist. As founder of the Institute of GeoSciences of the Republic of Panamá and its first Director, Professor Shelton worked on numerous Canal projects, closely collaborated with the United States Geological Survey (USGS) and other international entities, and is recognized as an expert by those who did the expansion's seismic studies. A tenured Professor of Engineering and Geology, he retired from the University of Panamá. Professor Shelton passed away in 2004. Regrettably, his recommendations went unheeded, as the lock arrangement Professor Shelton recommended for the expansion project – based on the Pedro Miguel Locks in today's Canal – would have been much better suited for managing the significantly higher than previously suspected seismic risk that was subsequently uncovered by way of the seismic studies performed for the Project. When complaints regarding the Panama Canal Expansion began accumulating, the ACP initially denied that the original Canal locks had any water-saving capability. However, history records that the US Congress argued for reducing construction cost by eliminating complexity. Because Congress members believed so much rain fell on the Canal watershed that there would never be a need to save water, they ordered that only one larger culvert be cast within the center-wall of the lock. As a consequence, whereas water could have been moved faster with two smaller culverts as first planned, performing that water-saving operation now takes longer. The Canal's water-saving capabilities were publicly demonstrated – which is why Professor Shelton knew about these methods – to a crowd of spectators long ago, some of whom are still alive. Worth noting is that, subsequent to his contact with the Canal engineers in 2002 regarding the existing lock water-saving methods, the ACP announced slips for temporarily holding ships would be added where the Canal exits narrow Culebra Cut just north of the Pedro-Miguel Locks. Subsequently, transit time differences between rainy and dry seasons have been noted that strongly suggest the Canal's water-saving system mentioned above is now being used regularly. Plus,side-to-side draining of one chamber to the other beside it witnessed during dry-season transits, would indicate that water-saving operations are being performed. Thus, not only does the capability exist, it is being used. In a meeting between the stakeholders' advocacy coalition, Alianza ProPanamá, and the ACP at the end of 2011 – arranged by Development Banks financing the venture – Canal representatives claimed that it could be shown “on the back of an envelope” that a two-lane two-step lock arrangement, such as that suggested by Professor Shelton based on the Pedro Miguel Locks, is not competitive. However, no “envelope” to substantiate that claim was produced. To follow this line of reasoning, a very large envelope would be needed to generate and present not only the water-use estimates required for making those comparisons, but also to develop procedures and parameters needed for estimating the salt-intrusion rate, not to mention the space needed to perform the complex calculations. Additional space would be needed on this proverbial envelope to determine ship transit times and to estimate other details, such as structural needs, to complete a proper comparison. A second envelope would be needed to do matching calculations for the system now under construction for an “apples-to-apples” comparison, in other words, on a comparable basis. Although such work is a normal requirement for major projects like this one, no selection process documentation of this kind has been made available for the Panama Canal Expansion Project – even for the lock system now under construction – despite claims that all such work was done. The lack of comparative assessments strongly suggests the choice of locks was made on an arbitrary basis not of benefit to the owners of the Canal, the people of Panamá. Looking back to shortly before the announcement of the Project in 2002, when Professor Shelton contacted and introduced Panama Canal Engineers to the lateral chamber-to-chamber water-saving capability of the Canal's original locks, the second water-saving method – available to only the Pedro-Miguel Locks – was equally unknown to them. Combined, these make Professor Shelton's suggested arrangement far superior to what is now being built. Given that the shipping community was told this Project was phase one of a two-lane expansion, his arrangement would have given that end result for the same cost as the single-lane now under construction. Interestingly, the Panamanian public was not informed about the promised second lane. Subsequent to Panamá's Canal expansion go-ahead vote in 2006, his son – Bert G. Shelton, a Research Scientist and Engineer specialized in massive structures, ship-lifting and efficient resource management methods – developed a method to add tanks to the layout based on the Pedro-Miguel locks recommended by his father. Professor Shelton's son's method – very competitively with respect to time and cost – allowed per-transit water-use to be cut nearly to half of what the new system under construction will require. Previous to Panamá's vote, several other alternatives were independently brought to the ACP's attention in a short space of time. Among them was a mechanical ship-lifting device, also developed and presented to ACP decision-makers by Mr. Shelton, which could increase transit capacity significantly should evaluations prove it to be economically competitive and environmentally workable. He had taken exception to the declaration – made on a Discovery Channel program in 2003 featuring the Panama Canal Expansion Plan – that Mechanical Ship Lifts of the size needed for the project were “beyond extreme engineering”. Years earlier, the UN's Tripartite Commission – with Japan, the United States and Panamá represented – had recommended that the time be taken to study the issues, find ways to better apply known water-saving techniques and try to find new ones before launching any expansion effort. Numerous engineers hearing the announcement in 2002 of an upcoming expansion, worked independently to ensure a successful expansion. However, the fact that all alternatives were unilaterally dismissed as having come “too late” – in combination with the other alternatives considered in the Project's Master Plan, which were minimally described and obviously unsuitable approaches – rapidly established the perception that truly plausible alternatives were neither sought nor assessed. 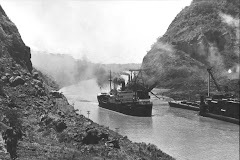 Once control of the Canal was transferred wholly to the Republic of Panamá, it appears that not only did that recommendation fall by the wayside, but insufficient attention was given to ensuring personnel learned all about the actual capabilities of the Canal system under its command. Instead, it appears that the decision – to add tanks to a modernized version of the US Military's 1930's lock system plan – was taken as it was convenient to creating the image desired for the project and, thereafter, to do whatever it took to push the expansion plan forward as quickly as possible to fruition. For arguably one of the world's most complex engineering challenges, focusing on marketing was less than the most desirable way to approach it. In the years that have followed the announcement, beginning with the Discovery Channel program, mainstream reporting on the Project has been unfailingly and unconditionally positive. Why Create an Illusion vs Doing it Right? As best can be determined, a way to justify launching a plethora of port expansion projects was being sought. The rush to expand the Panama Canal was to provide the right circumstances so that those in power could deliver major port expansion projects to particular, i.e. favored, construction businesses. Of note is that each costs billions, and projects like these routinely over-run budget estimates. As most people know, it is common for not-so-honest contractors to bribe authorities for such projects and the public ultimately pays the price for that fraud. If this assessment of the facts is correct, it would explain why the time-consuming preliminary engineering normally done ahead of launching any large project was skipped for this major Canal expansion. A natural initial reaction to this “theory” would be to say it is crazy. And, it is crazy, if one really expects to be developing a profitable long-term business. However, the Panama Canal crosses a major active fault that is considered a powder-keg that could blow at any moment. It has always been suspected that the Canal's earthquake risk was significant. How significant was communicated behind-the-scenes in 2007, but to avoid losing momentum on the Project, this data has been kept out of mainstream news worldwide. Thus, it would seem that the Canal expansion's real objective was to launch as many port expansion projects as possible while those with influence to ensure that money flowed into the “right” pockets were able to fulfill their roles. Whether or not the expanded Canal is a success in this scenario, is irrelevant. Once underway, port expansion contractors profit regardless of what happens in Panamá. Even if the Panama Canal plan were perfect and of low-risk, critics of the port expansions do not believe the shipping business growth forecasts used in promoting those projects. They do not envision that the shipping industry's use of Post-Panamax ships will grow at the rate needed to generate enough new business to make the majority of the expanded ports profitable in the claimed timeframe. As a result, the public will be straddled with paying to maintain ports while waiting for business to pick up. Were the Citizens of Panamá Misled? When the plan for the Panama Canal was publicly announced with its lock system pre-defined, it was declared that the addition of other watersheds to that of today's Canal would be required to operate it once expanded. Years earlier, in the 1990's, residents within the likely affected watersheds had noted surveying activity in their surroundings. Alarmed, they organized to press for information about what was being planned and to ensure that their needs were properly considered in the planning. When the Canal's expansion was announced, the possibility of losing their homesteads became a reality. Thus, those residents – having failed in their attempts to have their views taken into consideration – actively and vocally campaigned in 2006 against ratifying the plan, winning the sympathy and support of the majority of Panamanian voters. The Expansion Project then did several adjustments in very short order to diffuse those protests by “removing” the cause of citizens' distress. A third tank was added to each lock step, so that less water would be needed by each transit of the new locks. Initially there were to be just two tanks paralleling each chamber. Additionally, it was declared that fluctuation limits of Gatun Lake's level would be changed to increase the amount of water volume available to lock operation. * strengthening the many dams of Gatun Lake to ensure their stability, etc. Also, the salt intrusion rate associated with the new plan would definitely be significantly greater. How much so could not have been calculated in such short order, just as it was impossible to estimate the added costs the water level change would cause with respect to all the elements listed above. However, the Project's cost estimate remained completely unchanged. Public discussion of the lake-level fluctuations was never entertained. It was simply claimed that adding the third tank and changing lake-level fluctuations negated the need for more watershed. In parallel, the Government of Panamá passed a law that said no new dams would be built, and set the date for holding the referendum needed to obtain the people's consent to proceed with the Project, along with restricting public discussion of the Project to defined entities authorized to speak about it. Although the government was supposed to represent all the people and remain impartial, it was quite obvious that Panamá's Government was very much in favor of the expansion. Likewise, the legally-required forums to inform the public of project particulars prior to the vote were not handled impartially. All means to stick to a prepared script and not permit the airing of issues outside that script were employed. That included the repeated belittling of the attending public as not knowing enough about the subject to grasp the nuances of the effort and be able to correctly and fairly assess the plan. On the one hand, with regard to the engineering challenges of the expansion, the Project promoters – including Canal engineers and its highest-level administrators – repeatedly downplayed them, telling the public the Expansion, while big, was a “simple, concrete construction project”. Yet, on the other hand, it was allegedly too complex for the public to comprehend. The reality is that most of the people – as is usually the case with people who take the time to go to such forums, particularly “technical sessions” normally devoid of the flashy entertainment offered to the public-at-large – tended to be competent, educated and concerned citizens. As stakeholders, with the legal right to obtain information, they recognized how the outcome of such a project could affect them and the nation. In the end, nothing – beyond the limits of what appeared to be a coordinated script with defined, and strictly enforced, borders – could be learned at those forums. More than once, when pressed for further detail on certain issues not-to-be-addressed per the script, the standard response was that the person “qualified to deal with the question” was not at the forum, but would be at the next one. It never turned out that way. Assessments by subject-matter-experts offering recommendations for improving the project, like those of retired Chief Engineer Drohan, were limited to being published via alternative media outlets on the internet or by paying privately to try to reach the public ear. At Project Information Centers there was a lot of colorful material, but reports of substance had to be requested in writing, noting the specific reason for each report being requested. Besides making it difficult for stakeholders to access data of interest to them, the need to justify viewing what was supposed to be available to the public for that purpose, highlighted the fact that not everything was online. Nevertheless, when specific information was formally requested, the response was invariably that it was all on line. The end result is that the public was asked to approve the expansion of the Panama Canal after having been manipulated by an exceptional marketing effort designed to avoid giving details. As retired Chief Engineer Drohan wrote in his article analyzing the true cost of the new locks: “…the public will have to blindly vote”. Now, for example, as Development Banks address requests – made by Alianza ProPanamá on behalf of stakeholders which include the residents within the likely affected watersheds – for formal reviews of the Project, obtaining data and other specific information continues to be difficult. The ongoing unavailability of information has reinforced the persistent perception that either everything is not online, or it simply does not exist; and, the lack of openness suggests the Project is far from transparent. The voting process was also suspect. In more remote areas of the country – where trust in Panamá's leaders tended to be the lowest – the number of voting stations were reduced in addition to new voting procedures and equipment being introduced. Such changes in access to voting booths and unfamiliar methods tended to reduce the participation of those voters, and many suspect that was the intent. The percentage of the population that actually cast a vote was very low, which implies that most people had no grasp of how their future existence would be impacted by leaving it up to others to decide their fate. Did the Project Qualify for Development Bank Loans? As the end of 2013 approaches and despite being more than two years into the Development Bank Loan Compliance Processes of various lending institutions initiated at the request of Alianza ProPanamá in early 2011, the choice by the ACP to stonewall third-party review efforts – by not producing the requested reports while asserting that all are available online – persists. If the Project did not perform the necessary work and what is being requested does not exist – as this stonewalling strongly suggests – then it would even more strongly suggest that the Panama Canal Expansion Project does not qualify for the loans it obtained. By all that can be seen – or not seen as the case may be – it is likely, that the Panama Canal Expansion Project has bluffed its way to being granted Billions in Development Bank loans. There are various consequences to this potential scenario. Firstly, if the funds were requested and granted based on unsubstantiated or even false assertions, then the Development Banks should request the immediate return of those funds. As complicated as the ramifications of invoking this extreme option might appear, the future consequences of not doing so are far more damaging. Secondly, just as Development Banks have seemingly been deceived, the Panamanian public – the principal stakeholder – has also been deceived, tricked into approving a flawed project, the irreversible impacts of which they will suffer and for which they will be financially liable regardless of the final outcome. Solely on that basis – for intentional deception against the best interests of the nation – the Development Banks should be obliged to call back the loans. Thirdly, such actions should be taken on the basis of multiple deception in the matter of withholding seismic assessment study findings – someavailable as early as 2005 – from the Development Banks' loan approval deliberation processes, and from the people of Panamá who are ultimately responsible for loan repayment. Even today, the people of Panamá have not been made aware of the threat to themselves, their structures, and to the country's principal revenue-generating asset from an impending high-magnitude earthquake. Fourthly, with respect to requests by the Project for more money, before any more is loaned, the ACP must first be required to demonstrate that declared plans to vary operating approaches – which change the entire system's water-use balance to something other than the balance assumed in the salt-intrusion studies used to confirm the chosen configuration's acceptability – do not push salt-intrusion out of tolerance. Lock operating procedures – used by the Project to meet environmental impact requirements for obtaining the original loans from Development Banks – required multiple parameter adjustments to not exceed an allegedly acceptable salt concentration of Gatun Lake. Changing these procedures, by definition, invalidates the already questionable salt-intrusion impact assessment results. Fifthly – and possibly most importantly – refrain from granting any additional funds until the ACP defines exactly how transiting ships will be handled into, through, and out of the locks. To be informed years into lock construction – as Alianza ProPanamá's representatives were told this year in the midst of arguments regarding how ships traveling through the chambers are to be controlled to avoid collisions that damage both the ships and the locks – that the contractor has the option to make modifications, such as to the lock dimensions to correct those problems, and to allude that is what has been done, is unacceptable. Lock dimension modifications affect everything in the system, not just ship handling. Also affected are transit water-volume requirements, water-movement rates (i.e. transit time), recycling tank dimensions, gate dimension and strength, salt-intrusion rates, etc. If lock dimensions have been changed after Development Banks made their decision to fund the Project based on results of studies prepared using the original lock dimensions, then all study findings must be redone – not just those for ship-handling – and the results of those may no longer meet funding requirements. Such dimensional modifications could, as an example, alter salt-intrusion estimates out of the range that is considered acceptable. If this has occurred, continued funding of the Project would not be appropriate. This revelation to Alianza ProPanamá – of such a serious potential breach of the trust placed by the people of Panamá in the ACP – disclosed during the Development Banks' compliance investigations, raises not only the question of the ACP's capability, but of whether it possesses the organizational maturity to manage a project of this magnitude in a dignified and professional manner. When dealing with technically precise work, the problem with manipulating data and facts – as the questionable results of the Project's repeatedly revised key assessment studies, and the absence of information about others, continue to demonstrate – is that the truth has a way of coming out in the long run. Assertions about lock size changes mid-stream suggest a desperate attempt to escape further scrutiny. What Other Affectations have been Disregarded? Beyond the confines of the present Project Area there are additional affectations, but only a few of greater priority will be mentioned at this time. As the purpose of this project is specifically to permit transiting larger ships than in the past through the Panama Canal, the need to remove the Bridge of the Americas at the Pacific end of the Canal is a certainty, as is the need to build a replacement. That is a major oversight in the project cost-estimates presented to the Panamanian voters and to the Development Banks that creates the perception of dealing in bad faith. At the Atlantic end of the Canal, the need to replace the retracting bridge system within the locks over which road traffic crosses, with either a ferry system, a bridge, or even a tunnel – also a possible solution at the Pacific end – was also overlooked, which strengthens that perception. The recent Project declarations that “some amount” of additional water will be needed, means the people – assured before the referendum that no watershed expansion would be needed for this project – will be losing their homesteads after all. Those familiar with the UN's Tripartite Commission's Report will recall that it emphasized the need to seriously study existing water-saving methods to find the best one or combination, or possibly even a new one, for a future Panama Canal Expansion. In the field of research and development it is common knowledge that to develop a better approach for doing something it is very helpful to be familiar with the ways already known. The ACP has provided no documentation that any such effort was ever made, while it appeared that its engineering staff was not familiar with all the Panama Canal's water-saving capabilities. Thus, it is unsurprising that water-use evaluation discussions were evaded in the public forums and have been stonewalled thus far in the loan compliance reviews. Therefore, the affected residents must now be given verifiable assurances that they will be satisfactorily relocated and compensated at the time they are displaced. This regrettable outcome could have been avoided, but for a Canal upgrade accelerated under the premise that valuable Canal business – exceeding the cost of all other impacts caused by it – would be “lost” if the expansion was delayed. It was further justified by rationalizing that time would be wasted looking for what could not be found. The reality, however, is that now time is being lost – along with unpredictable amounts of money – trying to correct problems caused by the unnecessary and irresponsible rush to get to the construction phase. Not to mention that, superior solutions would have been found had they been genuinely sought. The permanent and irreversible consequences of this approach are unforgivable. In addition to the population poised to lose its means of sustenance, there are people living within the Chagres River watershed upstream of the Project that have been indirectly affected by it for several years now. Two cement manufacturing plants in the area, one on the Trans-Isthmian Highway and the other near the Calzada Larga airstrip and Madden (Alajuela) Lake – from where most of the drinking-water of Panama City and for local residents is taken – are the alleged source of increased public health problems. Along with the marked uptick in cement production – caused in large measure by the Canal's expansion – there has been a corresponding uptick in air and water pollution that the Canal Expansion Project has also seemingly overlooked. Citizen action groups have informed that at least one cement plant has implemented the use of alternative fuels to reduce fuel costs and has sought carbon credits, as well. In addition to burning municipal waste, the alternative fuels used apparently include burning old tires – a known source of unhealthy heavy metals and off-gases – that not only pollute the air that the surrounding population breathes, but also the water everyone in the area drinks. The general suspicion is that the overlooking of this issue is not accidental. The general public has not observed the Canal Expansion Project taking note of changes to public health conditions, which have resulted in part from the Project. Poorly assessed, or completely missed issues, added to the ACP having limited its focus, has resulted in the organization's failure to meet its objectives and fulfill its charter. The facts about the Panama Canal Expansion Project – adding improperly chosen, if not imposed, new locks to this crucial waterway – highlight its many very serious technical failings, population affectations, and environmental impacts that must be addressed and brought into compliance. These – added to concerns about its return-on-investment and the potential catastrophic loss of the Panama Canal due to its vulnerability to earthquakes –lead to the worrying conclusion of the whole affair possibly being fraudulent at its core. Another recent article "New Lock System: Future Monument to Corruption?" available in Spanish, was published on 25 Jan 2014.